Kyle is a really great guy. He takes care of his family, loves them unconditionally, despite them not being all that appreciative. When he takes in his younger brother, his life gets even more complicated. However, what he doesn't expect is to see Nic, the one-night stand that he hasn't been able to forget. Nic is just getting her career underway. Because of her lineage, she knows that she might have a harder road ahead of her. Being a woman in the Navy, one of the first to go down with the sub crew, she knows that there will be hurdles. However, she wants this career and has worked very hard to get where she is. The last think she expects is to see Kyle, her hot, one-night stand after her celebratory night with her girlfriends. Kyle is supposed to show Nic around the sub. He is her equal, in terms of rank, but since he has been on the sub longer, it's Nic's duty to learn the ship and her duties. When one of the lower ranking men on the ship take advantage of Nic, the entire ship is put under a microscope. That includes the relationship that Nic and Kyle have started – Nic's family is Navy royalty, so there are a lot of obstacles. I like how Nic was able to come out of hiding – she wasn't going to be run off from what she had worked so hard to achieve. However, because there always needs to be some kind of drama or misunderstanding, this is where the story tugs at the heart strings. Kyle is kind of your typical guy who is afraid of commitment, but that's just the impression that Chianese wanted to give off. In reality, he loves Nic and wants her in his life, but doesn't really know how to achieve this. Both have to overcome their own insecurities and doubts to come together. Overall, I really liked this story and despite the overprotective family members and friends, Nic and Kyle work their relationship out. I can't wait to see who is going to be the focus of the next book. Gail Chianese's love of reading began at the tender age of three, when she'd make her grandpa read Fourteen Country Rabbits over and over and over again (and correct him when he skipped parts). While she's branched out over the years by reading mystery, women’s fiction, and urban fantasy, she always circles back to romance in the end. That's probably because she's married to her real-life hero. Her wonderful hubby has served in the US Navy for the past twenty-two years and he’s done things he can’t tell her about. But it doesn’t stop her from being extremely proud of him and the sacrifices he makes for her, his family, and his country. He’s also uber-supportive of her dreams and of their three children. 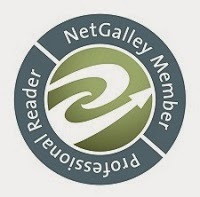 Living in Mystic, CT and a member of Connecticut Romance Writers of America, Gail loves to hear from readers. Reviewers on the Wicked Reads Review Team were provided a free copy of Love Runs Deep (Changing Tides #1) by Gail Chianese to read and review.